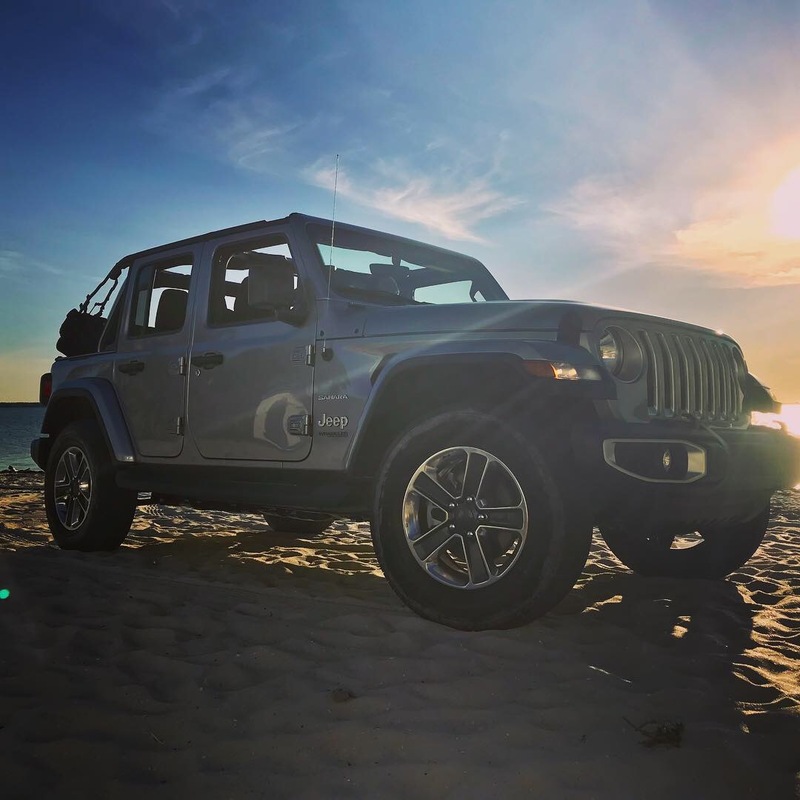 Rent a Jeep Wrangler in Miami & Fort Lauderdale, FL for as little as $99 per day! 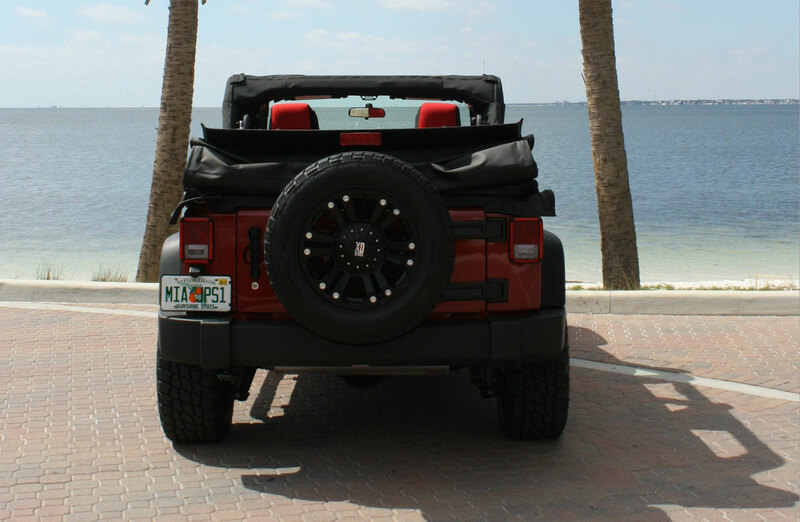 IS RENTING A CONVERTIBLE JEEP FOR YOUR TRIP TO THE FLORIDA KEYS ON YOUR BUCKET LIST? 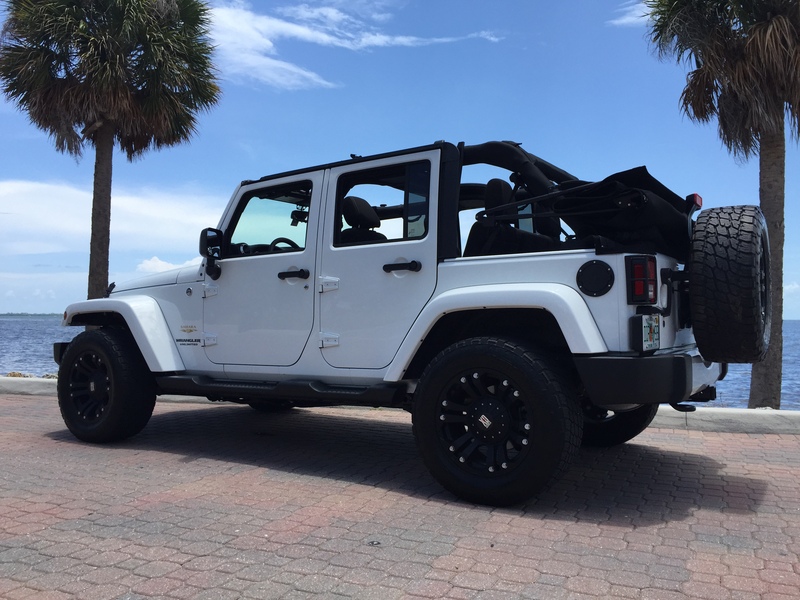 Tons of Fun Jeep Rentals is the best company to rent a Jeep Wrangler from in Miami or Fort Lauderdale. The big rental car companies don’t rent Jeeps, but we do! 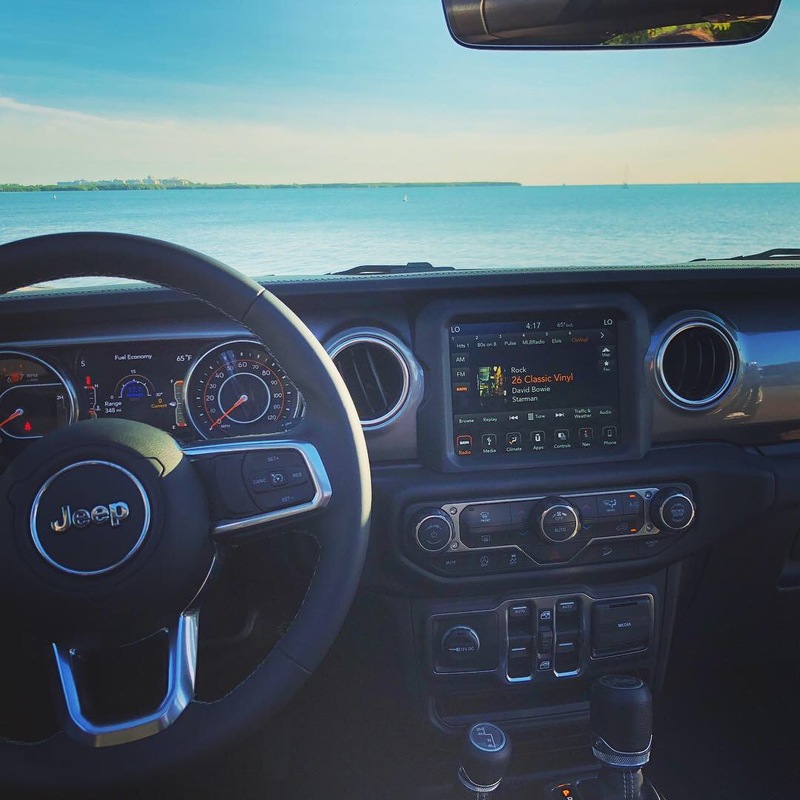 We rent great looking, affordably priced Jeeps and promise to provide you the quickest, easiest, and friendliest car rental experience you will ever have! 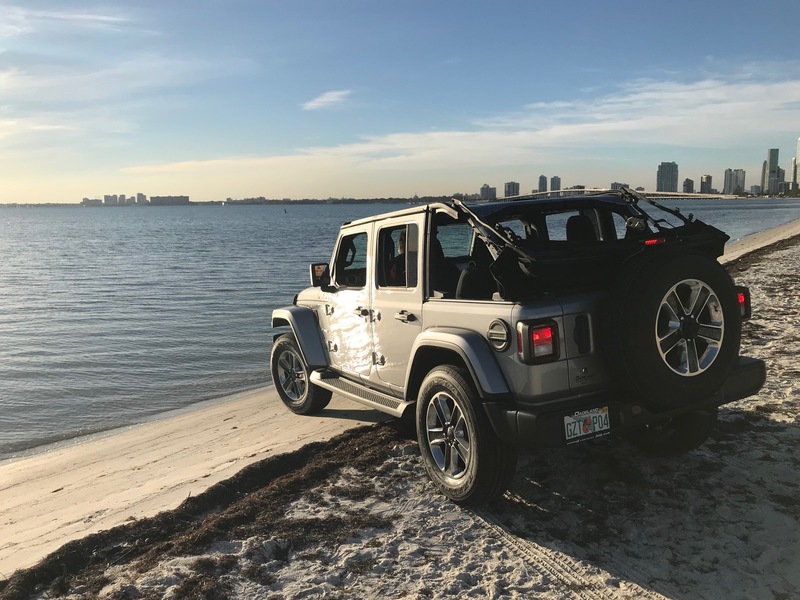 We were the first company to start renting Jeeps in Miami and Fort Lauderdale and we have the best customer service in town (click here to see our Trip Advisor Reviews). 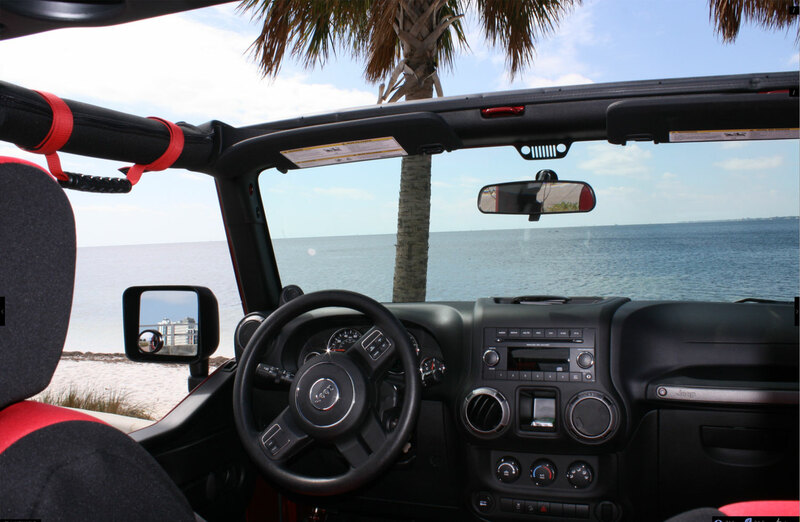 There is no better way to enjoy your time in South Florida than cruising around in a Tons of Fun Jeep Wrangler Rental. If you want something fun to drive down to the Florida Keys in, you are in the right place. A Jeep is more than a rental car. A convertible Jeep will actually make your trip more fun! Our Jeeps look great and provide customers the functionality they want in a convertible. Our Jeeps have comfortable waterproof seats, rubberized floor inserts, and easy to use convertible tops. 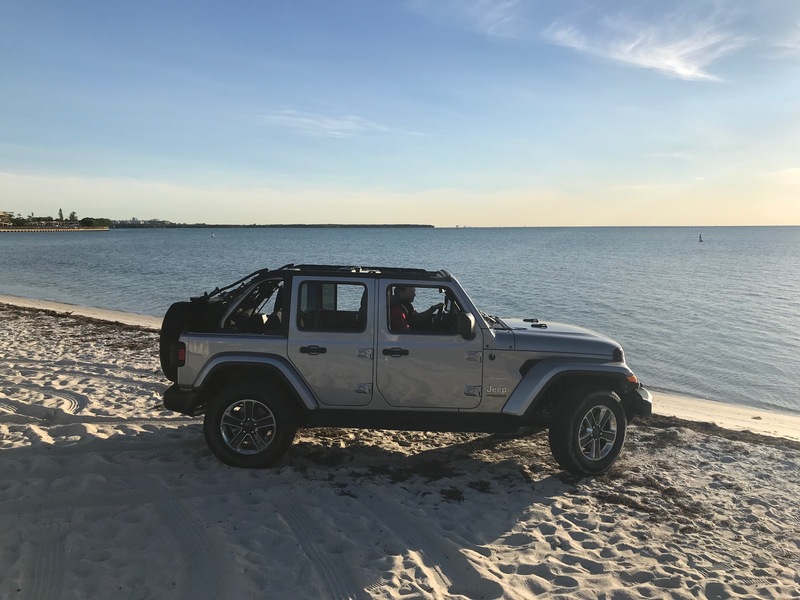 Our rental Jeeps make going to the beach or cruising down to the Keys an exhilarating and hassle free experience. Women and men alike appreciate how fun a Jeep is and your kids will freak out when you tell them you are getting a Jeep! Everyone in your group will love having the top down while you cruise through sunny south Florida! The new 4 door Jeep Wranglers retain the same great look that has made Jeeps so popular over the years, and the added space, more luxurious interior, and smoother ride will have you smiling every time you get in your Jeep. 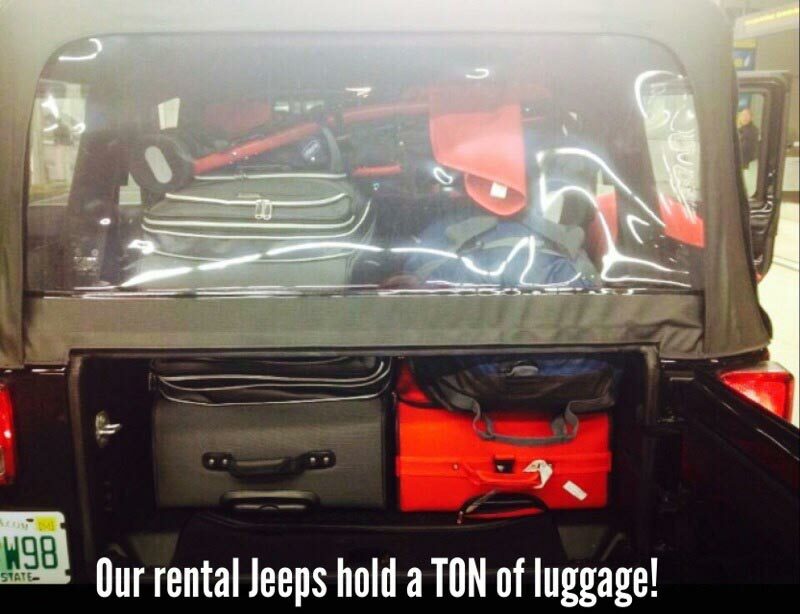 With plenty of space for 5 people and A LOT of luggage (click here to see how much luggage you can put in one of our rental jeeps), Jeeps are the ONLY convertible that exists today that can accommodate a full sized family or group of friends and all their luggage! If you are looking for an ideal vehicle to road trip down to the Florida Keys in with your friends and family or want a fun and functional vehicle to cruise the streets and beaches of Ft Lauderdale and Miami in, call us today and book a vehicle that will actually add to the enjoyment of your vacation. You will be happy you called. Call us now @ (305) 702-7798. Wondering how hard it is to take down the convertible top on a Jeep…….Click here to see a cheesy video of the owner showing you how to do it! We will deliver and pickup our vehicles and we provide discounts to current and former members of the U.S. Military and Law Enforcement.